I read a lot and write reviews of the books that I read so that you can enjoy them as well. In his novel, Elsewhere, Israeli-Austrian writer Doron Rabinovici raises questions of identity and belonging, Europe and Israel. Ethan Rosen, an Israeli-born lecturer at the Vienna Institute for Social Research, returns to Israel to attend the funeral of a long-time family friend, but declines an offer to write the friend's obituary. But when an obituary appears, written by Rudi Klausinger, a colleague up for the same professorship position at a prestigious Viennese university, Rosen is quick to compose an article disputing statements Klausinger included in the piece. Except, the arguments to which Rosen objects are actually quotes from an article he had himself previously published. In essence, he engaged in a dispute with his own writing. And then a cassette arrives, stories and instructions from the dead friend relayed from beyond the grave. Rosen is called back to Israel once again when his father, an Auschwitz survivor, becomes ill, in desperate need for a kidney transplant. Klausinger shows up as well, in search for his biological father. The revelation of long buried family secrets follows. Mixed in, almost to a humorous effect, is the strange arrival of Rabbi Yeshayahu Berkowitsch, a charismatic Hasid with a cult following who claims that the Rosens have the key to bringing the Messiah back to life. In the end, despite knowing the true nature of his family, Rosen discovers that "home can often be the place that feels most unfamiliar." 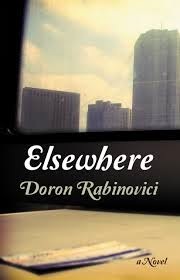 Elsewhere by Doron Rabinovici (Haus Publishing, August 2014), translated by Tess Lewis, is a compelling story, with believable characters and a twisting narrative that grabs the reader right from the first page. Although I wouldn't go so far, as did the Frankfurter Allgemeine Zeitung, to describe the book as being "as gripping as a crime novel and as hilarious as Woody Allen's best films," I did find it to be an enjoyable read. 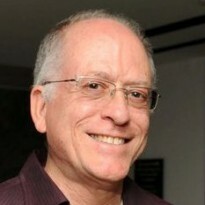 Doron Rabinovici is an Israeli-Austrian writer, historian, and essayist. Born in Tel Aviv in 1961, he moved to Vienna at the age of three, where he still lives and works. Rabinovici has been active in efforts to combat anti-Semitism and extreme right politics in Austria. He is the recipient of numerous awards, including the Anton Wildgans Prize, the Jean Améry Prize, and the Clemens Brentano Prize. Buy Elsewhere and read it now!